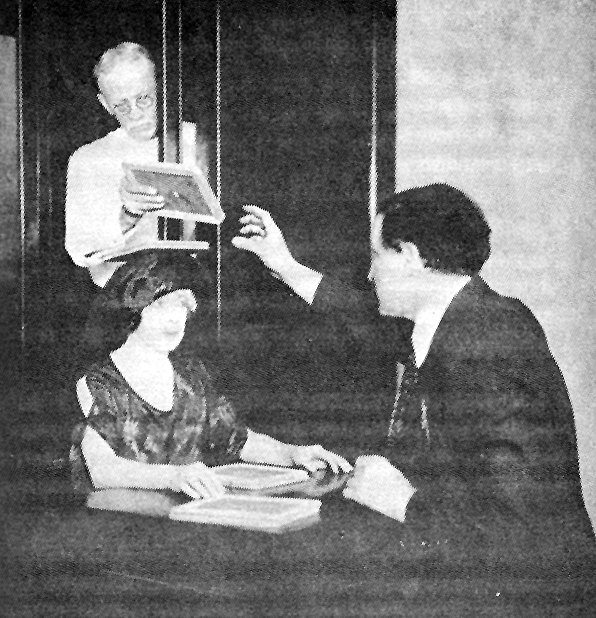 Houdini, his wife, and an assistant demonstrate a method of switching slates over a sitter’s head that would be performed in a dark room during a séance. 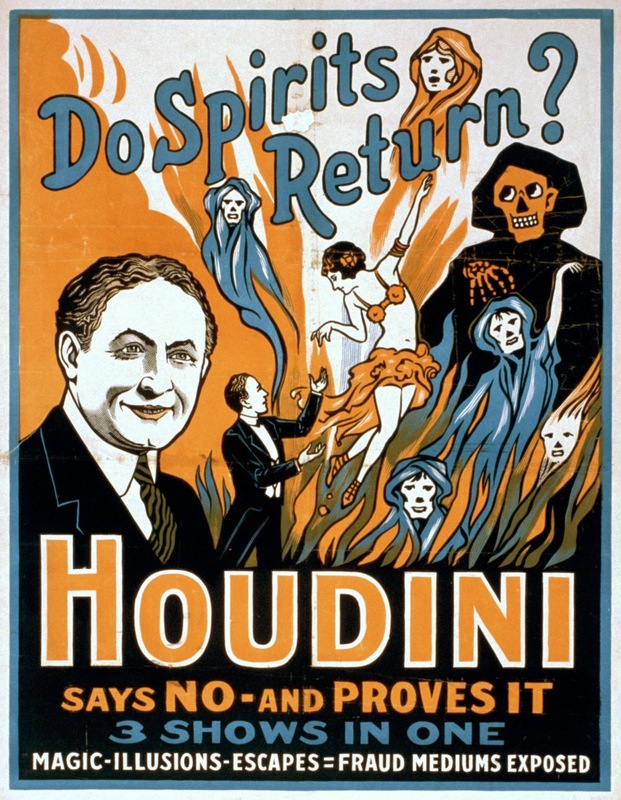 Four years later to the day—on Halloween, 1926—Harry Houdini died in Detroit from complications of a ruptured appendix. Sophie Irene Loeb was one of the honorary pallbearers at his funeral. Harry Houdini. A Magician Among the Spirits. Harper & Row, 1924. Margaret C. Scoggin. The Lure of Danger: True Adventure Stories. Alfred A. Knopf, 1955. A little research reveals that Loeb was a very famous person in her day. Where was her house? Yes, she was very famous in her day. I don’t know where her house was. You might be able to find out through census records or an old Harmon phonebook, if the Historical Society has one. The Historical Society has lots of old Croton directories though how far back I cannot say. If I can, I’ll check the next time I’m in there. Thanks again for uncovering a marvelous piece of local history.